Congratulations to former IGI Gymnast, Haley Scaman and the Oklahoma Sooners on winning their second NCAA National Gymnastics Championship in three years. Haley concluded her outstanding career with a 9.950 on Floor Exercise (highest FX score of the session). She also posted a 9.900 on Bars, as well as a 9.850 on Vault. IGI has strong ties to Oklahoma Gymnastics. Former IGI gymnast Kayla Nowak was an Oklahoma gymnast (2010-2013) and is currently a member of OU’s gymnastics staff. In addition current IGI gymnast, Anastasia Webb is a 2017 commit to the University of Oklahoma. 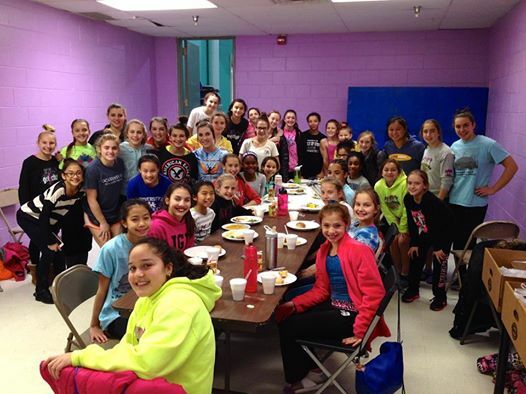 IGI’s optional team had their annual ‘Team IGI Thanksgiving Dinner’ after a good cardio practice Tuesday night! With so many kids they had to us two room! Being thankful for so many things the team wishes everyone a Happy Thanksgiving and God Bless! IGI Gymnast Makenzie Sedlacek just returned from USA Gymnastics – Elite Developmental Camp, held at the National Training Center in Texas November 17-21. 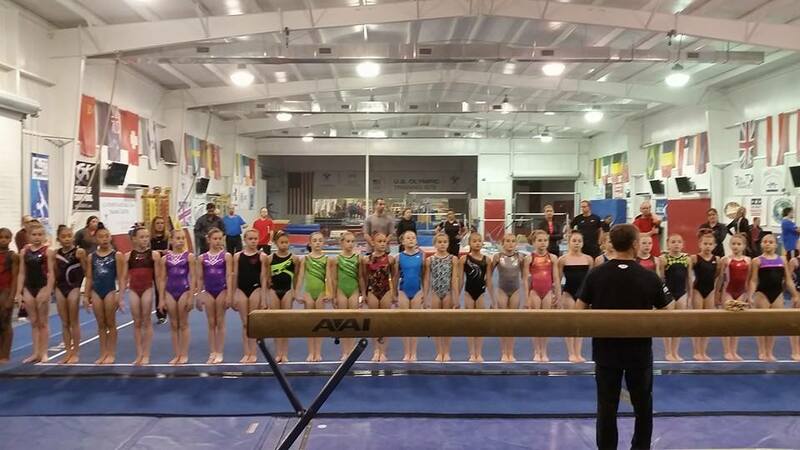 The camp featured 45 of the top Junior Elite gymnasts in the U.S. Congratulations Makenzie!!! IGI would like to congratulate Lexi Funk and Alison Bushman for their performances at Level 10 Nationals in Jackson, Mississippi. Lexi was the National Uneven Bar Champion! She also placed 7th on Floor Exercise, 11th on Balance Beam and was 8th in the All-Around. Alison placed 12th on Floor Exercise, 19th on uneven Bars and was 25th in the All-Around. Alison will be attending Yale University in the Fall. 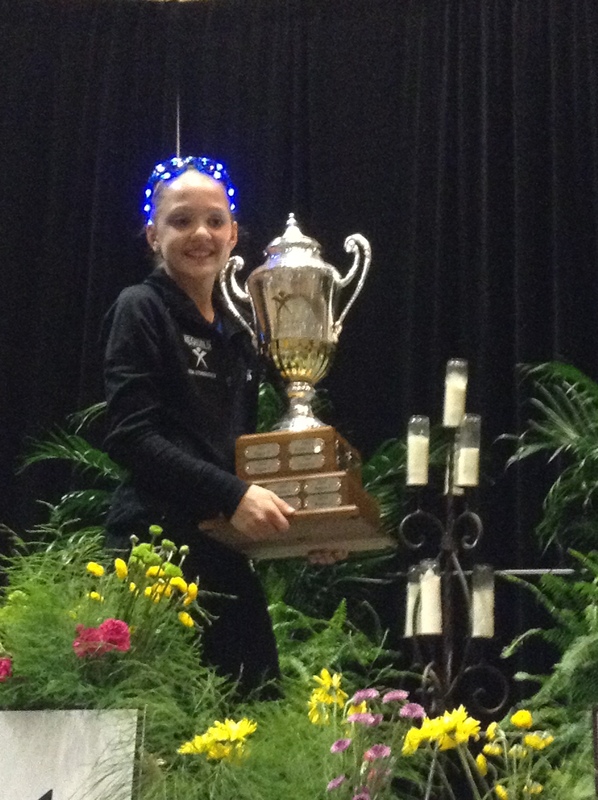 Region 5 was the National Champion in both Lexi and Alison’s age groups, and also won the overall National Championship Title. Congratulations to all for a great showing!